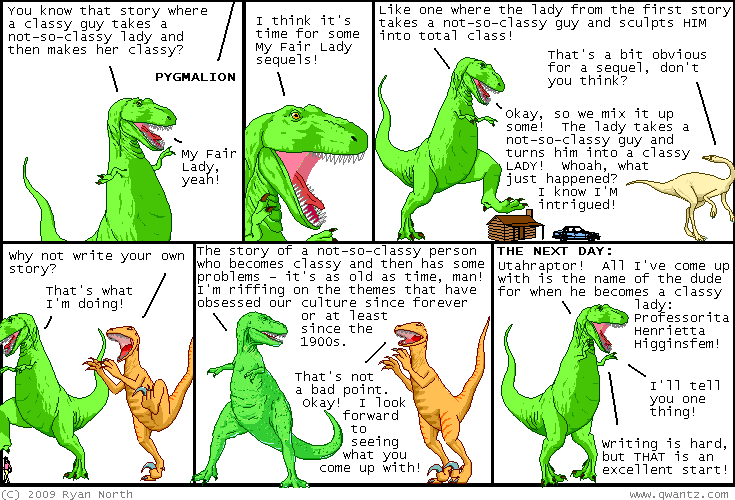 Dinosaur Comics - June 3rd, 2009 - awesome fun times! June 3rd, 2009: I forgot to mention: this Saturday and Sunday (June 6th and 7th) I'll be at the MoCCA Comics Art Festival in New York City! You should come - it's a great show with tons of fantastic indie comics comics and creators. MoCCA! One year ago today: there are legal and illegal crazies. legal crazies is like, "wow, i love you so much, it's legally crazy!" illegal crazies is like, "wow, i love you so much, it's illegally crazy! Can I Have Your Skin For A Mask"